My plan was to blog about every show that I go to in 2015. So far I am off to a bad start – last night was my third show and not a single blog post was written. Well, today I rectify that. I am going to write shorter catch-up posts and then will start doing them the next day after I go to a show. My first show of the year did not happen until almost the end of January. I decided to kick off my show going year with a few solo artists over at the Crown in Baltimore. I had a friend in tow and we braved the cold to go see some music (both the cold outside and the frigid temperatures inside the Crown; we kept our hats and coats on all night) and eat some great food. First up was local guitar player, Terrors. I do not know anything about him. All I know is he played a nice set of tunes on a guitar that looked better suited for heavy metal and not post-rock delay fests. 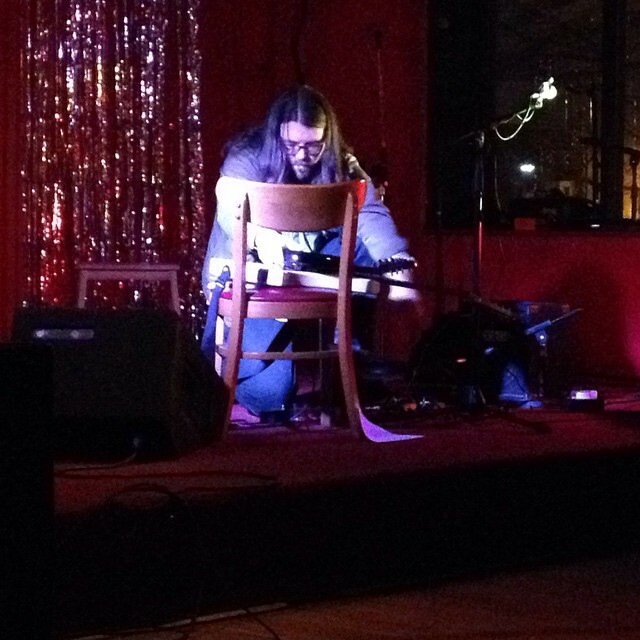 He closed his set by rubbing a mandolin on top of his guitar for a little noise. Next up was Nathan Bowles. 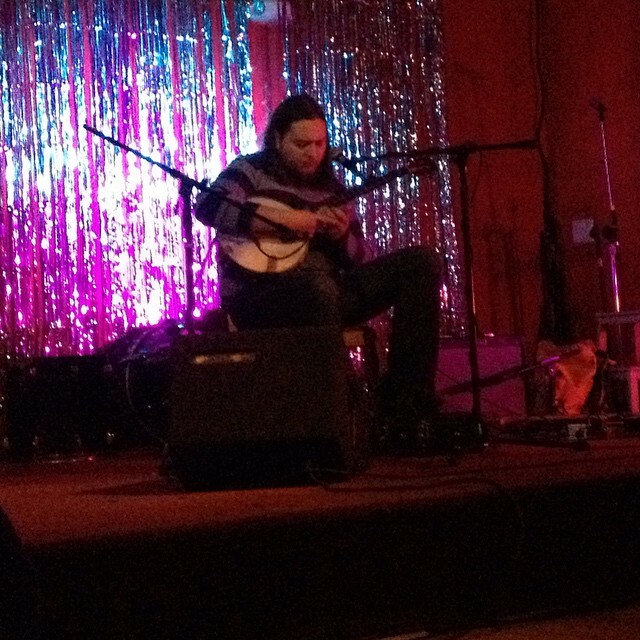 I had already seen this banjo hero perform (several times) at Hopscotch in 2013. He played a nice set of virtuosic banjo plucking that I think my grandfather would have enjoyed. He finished off his set with Elisa joining him on her guitar for a tune. 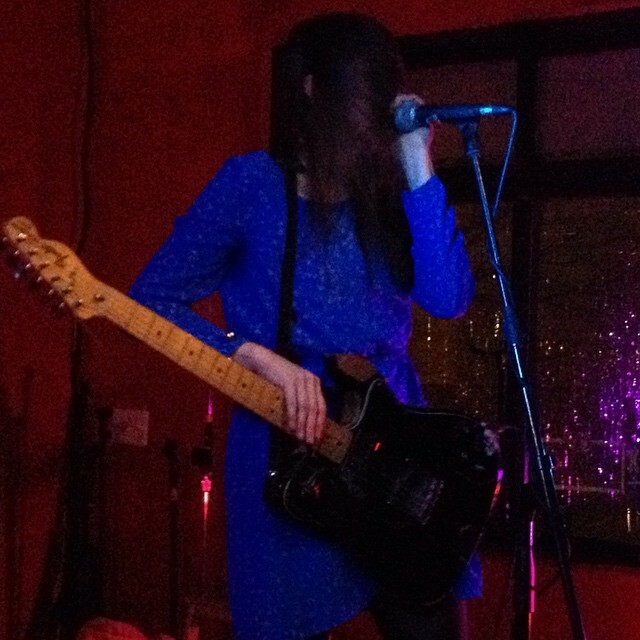 The night was capped off with an excellent performance by Elisa Ambrogio, of Magic Markers fame, who was touring for her excellent record,The Immoralist. Nathan joined her on drums, and she played her guitar through her pedals and sang her songs. The set ended with her by herself. It was excellent, and my first time to see her solo. It was comparable to a Magic Markers set, slightly different vibe, but still similar. I also was able to hang with Elisa again, after meeting her and hanging with her and her band at Hopscotch 2013, and even picked up a copy of her album on vinyl, and got it signed. It was an excellent night and a great way to kick off 2015.